Goodness, I had a happy day! Did you? I sure hope so. 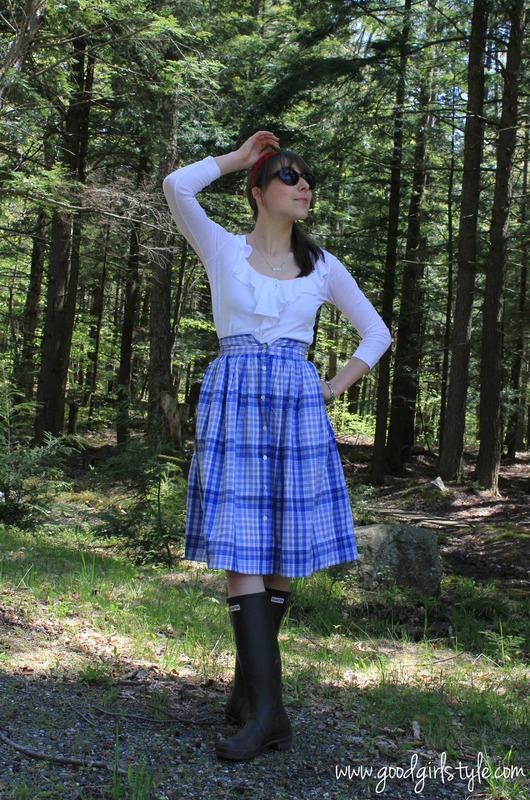 Give me some sunshine, a little caffeine, a circle skirt, and some wellies, and I am one HAPPY girl! There's just something about a dress or a skirt paired with wellies--so charming, off-handed, country-sunshine-girl don't you think? 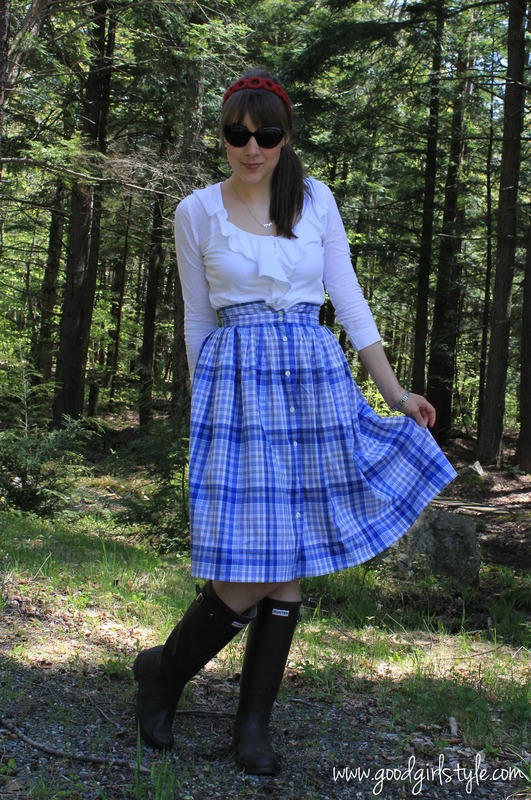 This outfit makes me want to go pick strawberries! Alas, I think it is too early for that in New England (but it is strawberry season in Florida!). All you need is a cute basket and you're farmer's market ready! 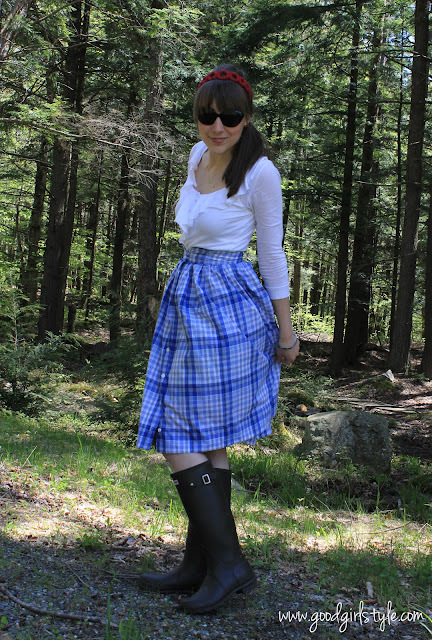 My fave so far is the blue plaid circle skirt, white blouse and Wellies. Great job! You look really good wearing your Skirt and Wellies.